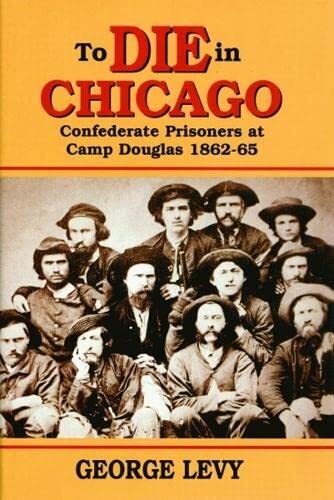 Camp Douglas was located in Chicago near the shores of Lake Michigan. It was known as the northern prison camp with the highest mortality rate of all Union Civil War prisons. The first prisoners arrived in February 1862. Conditions were horrible and it is reported that 1 in 5 prisoners within those walls died. Punishment by officials and guards was unusually cruel. Confederate soldiers starved to death as food rations were withheld and many, being deprived of blankets while living in tents, froze to death in the severe weather. "Prisoners were deprived of clothing to discourage escapes. Many wore sacks with head and arm holes cut out; few had underwear. Blankets to offset the bitter northern winter were confiscated from the few that had them. The weakest froze to death. The Chicago winter of 1864 was devastating. The loss of 1,091 lives in only four months was heaviest for any like period in the camp's history, and equaled the deaths at the highest rate of Andersonville from February to May, 1864. Yet, it is the name of Andersonville that burns in infamy, while there exists a northern counterpart of little shame." Read more of this story at: Camp Douglas"
What remains of Camp Douglas, the prison camp story that was swept under the rug? A monument erected by Southern Veterans is all that remains of Camp Douglas. It is located at Oak Woods Cemetery surrounded by of an untold number of Confederate soldiers. Records of the dead at Camp Douglas seem to have been lost and/or miskept. It is truly unknown how many and who the southern soldiers were who lie beneath the ground in a large mass grave. The inscription on the monument reads: ERECTED TO THE MEMORY OF SIX THOUSAND SOUTHERN SOLDIERS HERE BURIED WHO DIED IN CAMP DOUGLAS PRISON 1862-5. Bronze tablets on the monument list some of the dead Confederate soldiers buried there but how many more soldiers in The Camp Douglas Confederate Mound will always be unknown?? Oak Woods Cemetery is located about 5 miles south of the area known as Camp Douglas. The Confederate dead were originally interred in pauper's graves at Chicago's City Cemetery but later removed to Oak Woods Cemetery. Lets start with the author. His research is exacting, methodical, and painstaking. He brought zero bias to the enterprise and the result is a stunning achievement that is both scholarly and readable. Douglas, the "accidental" prison camp began as a training camp for IL. volunteers. Donalson and Island #10 changed that. The long war no one expected combined with artic cold, primitive medical care and the barbarity of the captors created in the authors own words "a death camp." Stanton's and Grant's policy of halting the prisoner exchange behind the pretense of Fort Pillow accelerated the suffering. In the latest edition Levy found the long lost hospital records at the National Archives which prove conclusively that casualties were deliberately under reported. Prisoners were tortured, brutality was tolerated and corruption was widespread. The handling of the dead rivals stories of Nazi Germany. The largest mass grave in the Western Hemisphere is filled with....the bodies of Camp Douglas dead, 4200 known and 1800 unknown. No one should be allowed to speak of Andersonville until they have absorbed the horror of Douglas.